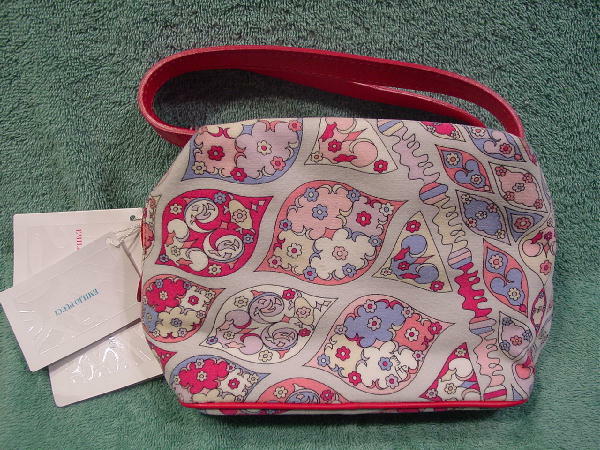 This never-used 100% brushed cotton Emilio Pucci purse was made in Italy. 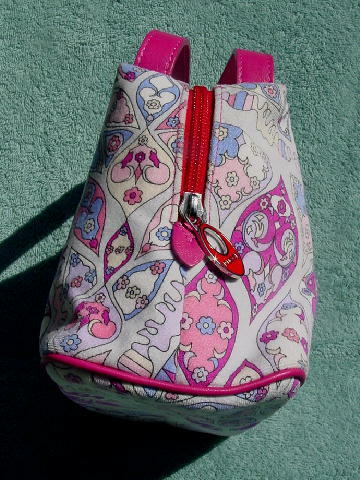 It has deep rosy pink calf leather handles, tab on each end of the side to side zipper, and cording around the bottom. There is a red side to side zipper and a silver-tone metal pull with elevated silver-tone letters spelling Pucci on a cherry red front. 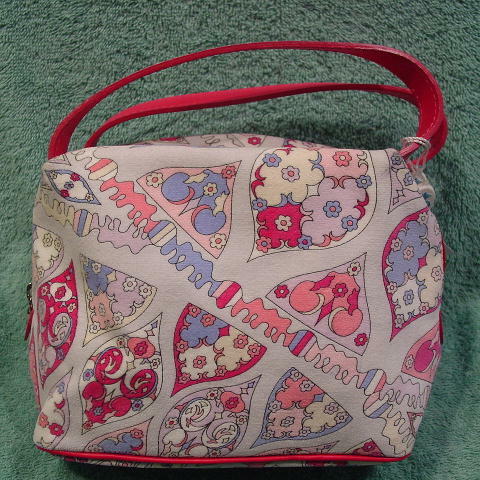 It has a light gray background with a design pattern in deep rosy pink, white, creamy-bone, powder blue, pale lavender, baby pink, and peach-azalea. 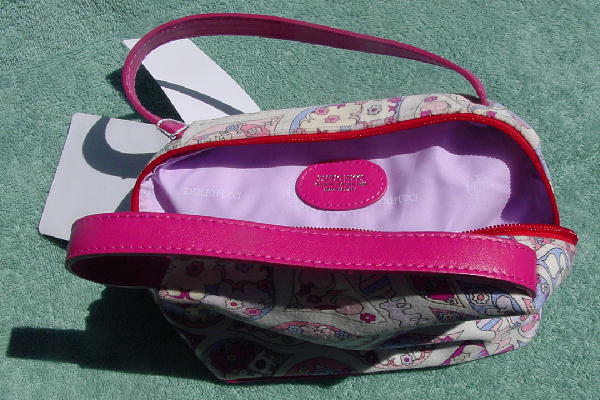 The 100% polyester lining is in a light pinkish orchid with Emilio Pucci and the logo in white letters all over it. The manufacturer's tags are still attached. On the lining is an oval deep rosy pink leather tag that has Emilio Pucci Genuine Leather Trim Made In Italy in silver-tone letters. A stylist sold her personal collection because she needed the money.